Stunning three tapered oval glass coffee table with Chrome legs. Held in stock for a free next day delivery. Delivered flat packed for easy self assemble. 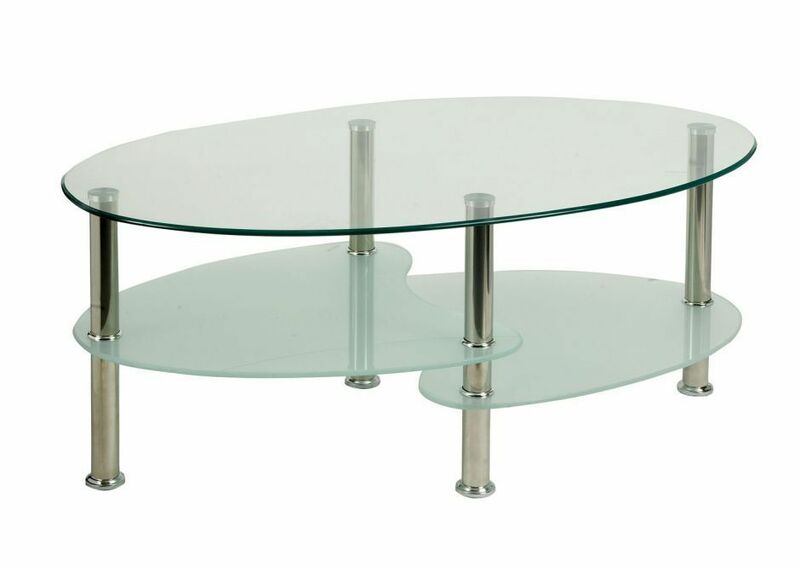 Popular three tier coffee table with toughened glass and an oval shaped top. The construction includes four strong chrome plated columns.